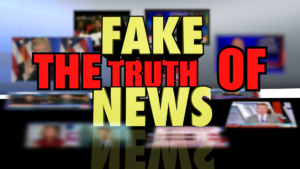 The term fake news has gained popularity in the past year. It’s often the focus of political speeches, late-late night talk shows and now legislation in a few states. It’s also a topic of discussion in journalism classes at Troy University. Dr. Jeff Spurlock is the director of the Hall School of Journalism and he says many of his students now ask what fake news means and he has some tips for them. “Read who’s writing these and if they see that they’re reputable sources, reputable quotes and the writing is pretty good, then it’s probably going to be a reputable source,” he explains. Many of his students say they encounter fake news often on social media. “It is so easy for people to hide behind a screen and say whatever they want to say,” shared Junior Lynsey Smith. Legislators in California and Pennsylvania are also pushing legislation that would help students identify fake news. Bills in both states would aim to create media literacy curriculum for students. Dr. Spurlock says fake news isn’t a new term, it has just now been given a name. “It is not a phase, it’s not going away, it’s going to be with us forever,” he added.